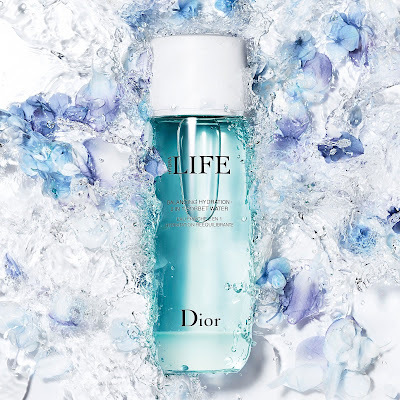 Dior’s Hydra Life collection that offers new-generation hydrating formulas based on highly concentrated natural ingredients, welcomes a number of new products this Spring. 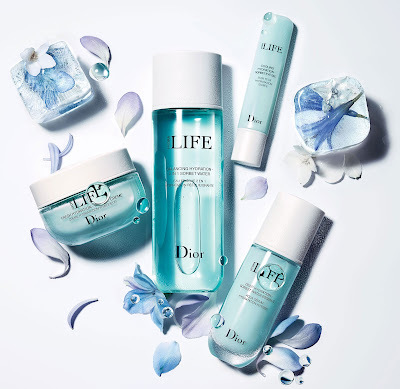 Designed to rejuvenate the skin, help activate its own natural defenses, and provide a refreshing boost of moisture, the collection welcomes the new 3-step hydrating sorbet program to prep, moisturize, and awaken the skin. 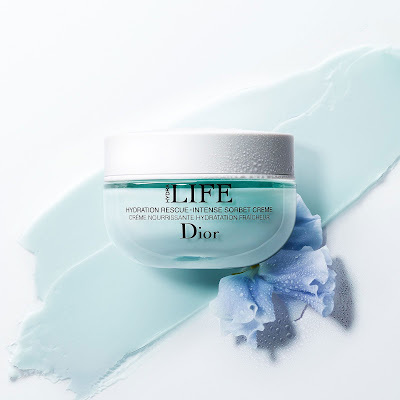 Dior’s new Hydrating Sorbet Program, formulated with 98% of natural ingredients, is powered by Mallow and Haberlea, two powerful flowering plants for a deeply hydrated, healthy-looking, more resilient, luminous skin. 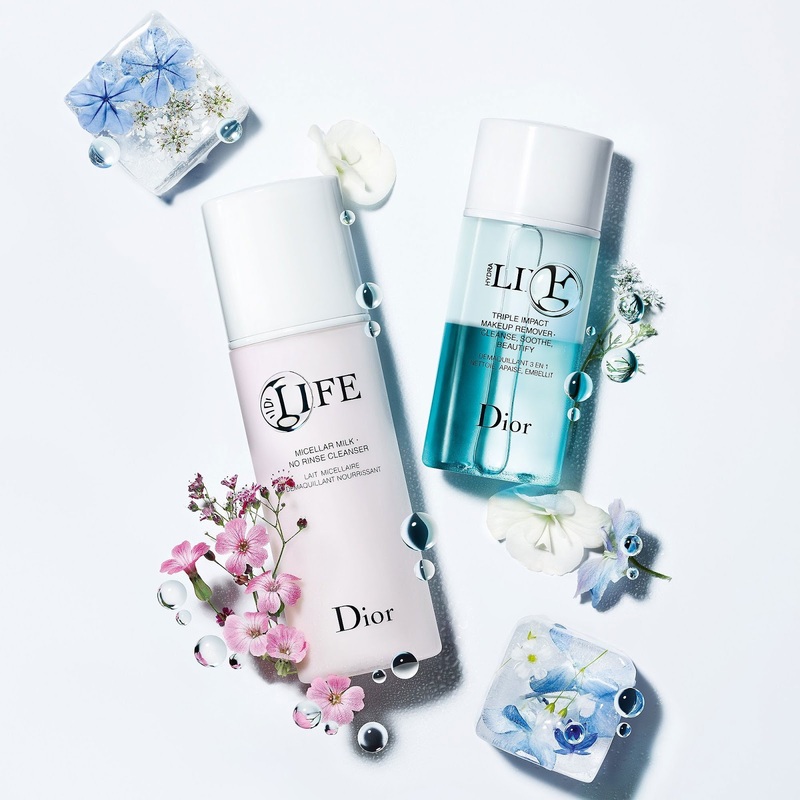 A floral toning lotion infused with prebiotics and balancing mineral powders. This fresh lotion is Dior’s first 2-in-1 water to simultaneously moisturize and rebalance the skin while minimizing the appearance of pores and shine. 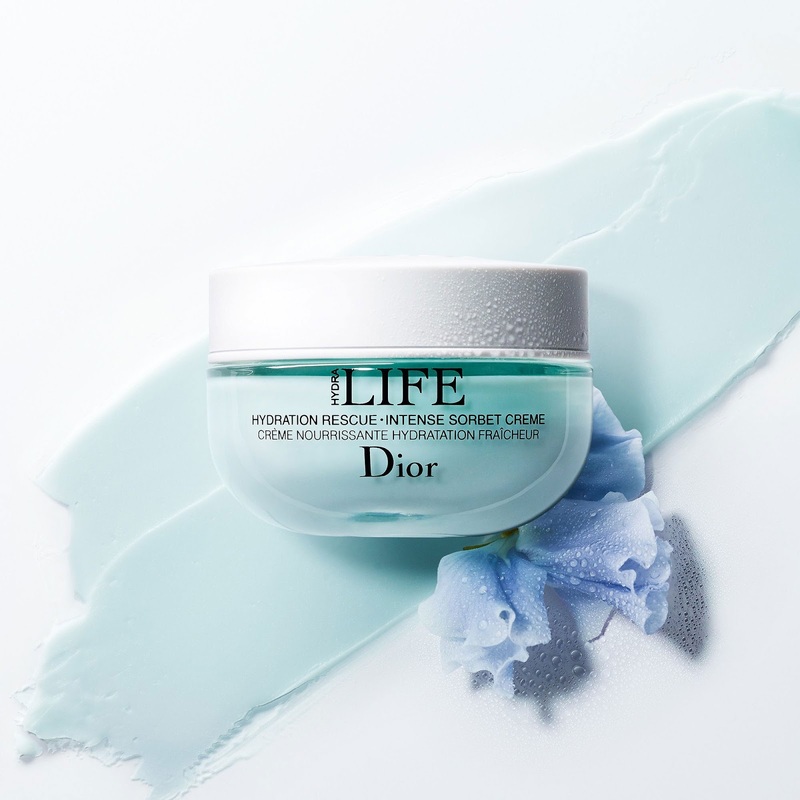 The new intensive moisturizing treatment for dry and irritated skin. This luscious balm nourishes and balances the skin as it soothes feelings of discomfort. The skin is left feeling soft, moisturized, and firm. 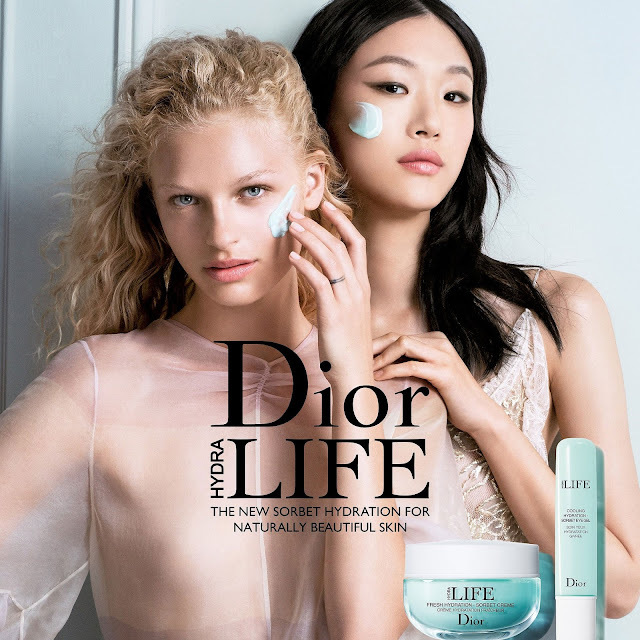 Dior’s first anti-fatigue eye care with a cooling ceramic applicator. 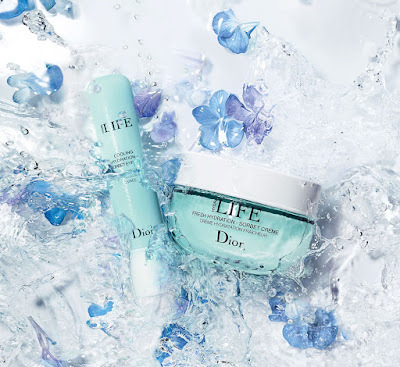 The gel moisturizes the skin around the eyes, while offering a cooling, refreshing effect anywhere, anytime. In addition, Dior’s Hydra Life range welcomes two very special makeup removers: the Hydra Life Micellar Milk No Rinse Cleanser, and the Hydra Life Triple Impact Makeup Remover. 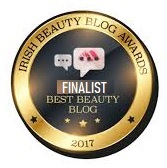 The Micellar Milk, blending the cleansing powers of micelles with the nourishing powers of rice milk, gently yet effectively removes makeup and dirt, while supporting and comforting skins of all types. 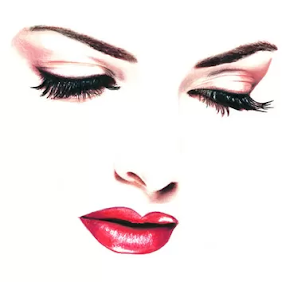 The Triple Impact Makeup Remover is designed for dissolving and removing even the most stubborn eye makeup, while softening and soothing the eye contour, and nourishing the lashes. Dior’s new Hydra Life products are now available for purchase at Brown Thomas, Selfridges, Harrods, and Dior counters.